At its debut, the Ryan plan to eliminate traditional Medicare was described in the media as a "Tea Party proposal" But it would be more accurate to call it a "Koch proposal," an ideological scheme to realize long-standing ultra-right hopes to privatize and radically shrink a major national social program. There is no evidence that ordinary American citizens who sympathize with the Tea Party were clamoring for the elimination of Medicare in early 2011. We heard no such thing from our interviewees, and a respected national survey completed right after the Ryan plan appeared revealed that 70 percent of the Tea Party supporters, along with even higher percentages of other Americans, oppose cuts in Medicare spending. The explanation for this inconsistency is that most Tea Party members are AARP-eligible. Surveys have shown 70 (PDF) to 75 percent of Tea Party supporters to be 45 or older (compared to about half the overall population). Tea Partiers aren't against government benefits. They're against government benefits for other people. They just dress it up in antigovernment rhetoric and convince themselves that Medicare and Social Security benefits are different because they've already paid for them through payroll taxes (when in fact beneficiaries take out far more than they put in; that's why both programs need periodic adjustments). Hence the nonsensical slogan, "Keep government out of Medicare." The fact that Medicare and Social Security account for most of the welfare-state spending that Tea Partiers profess to despise (and about one-third of all federal spending) is something that Tea Partiers either don't grasp or choose to ignore. Ryan's Medicare plan has been through many iterations, but in all of them the single-payer system in which Medicare exists today would be replaced with a voucher system that would gradually shift medical costs onto senior citizens. A "public option" (PDF) incorporated into one version of Ryancare would likely outperform private-sector rivals on cost control (government-provided health care always does), but there's a real question whether Congress would allow a mechanism by which that public option could pass those savings on to consumers. (When a public option was up for debate in Obamacare, Congress worked mightily to cripple its inherent market advantage.) There's also a real question whether Medicare's elderly constituency is up to the task of rational consumer choice. As Yale's Ted Marmor notes in a fact sheet (PDF) for the Scholars Strategy Network (an excellent resource that posts online serious social science findings on various topical matters), close to 30 percent of all Medicare beneficiaries are cognitively impaired. "How are frail older people supposed to deal with complex, often confusing 'choices' among private insurance plans?" Marmor writes. "They can easily get lost or misled in a lot of evasive fine print." Is this paternalistic? You bet. I'm certainly counting on society to treat me paternalistically when I enter my dotage. Ryan's continuing popularity among the Tea Party crowd, in spite of his planned assault on Medicare, can only partially be explained by Marmor's 30-percent factor. Another explanation may be that Ryan's plan would "grandfather" today's elderly population out of his reform; they could continue to participate in Medicare as is. The choice of age 55 as a cutoff is, Skocpol explained to me in an interview, politically salient. "That age was probably a little too far to achieve the savings he needed," she observed. "But it's perfect [to demarcate] the line between Tea Partiers and everyone else." The 55 year-old cutoff exempts from Ryancare close to half of all existing Tea Partiers (46 percent, according to (PDF) a 2010 Winston Group poll). They can have their tea and drink it, too. Incidentally, my interest in this question is entirely altruistic. 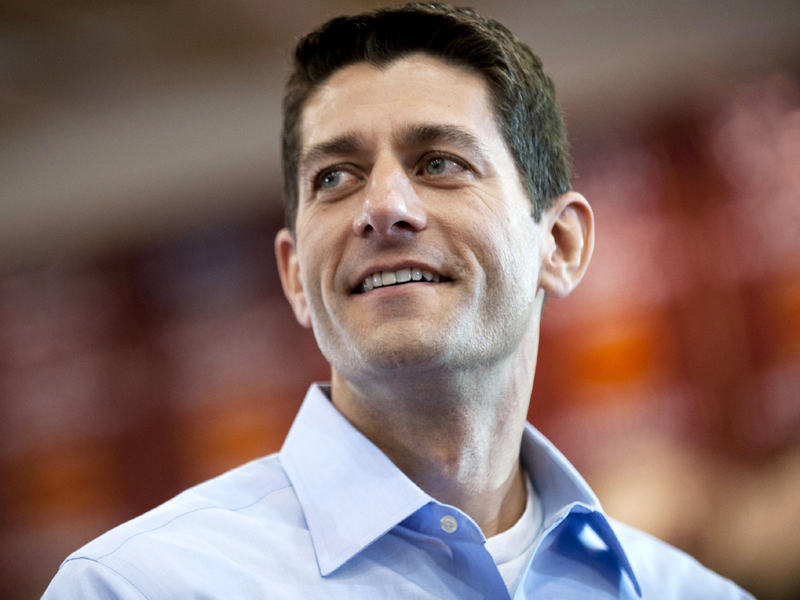 In January 2013, when Vice President Ryan would assume office, I'll turn 55. Whew! Timothy Noah is a senior editor at The New Republic. Previously he was a senior writer at Slate, a Washington reporter for the Wall Street Journal, an assistant managing editor at US News & World Report, and an editor of the Washington Monthly. The opinions expressed in this commentary are solely those of the author.